I closed the book I read and I put it on a small table. I think not afford anymore to spend reading the book. What can I do? Do I have to stare at these books because exams are getting closer? This year I will be facing SPM examination. This year is also an important year for me, if I deserve to set foot into Form 6 or not. Everything haunt my feelings right now. In the past year, i've got my SPM examination, results are disappointing. I fail but I'm not surprised by what happened. Of course it was I guess. They say the world is full of obstacles moreover to learn from failure. The teacher said that many people succeed because learning from mistakes. Many is those who fail not because they are not intelligent, but proud of the success of the past. They made no effort to correct the mistake themselves. For me, the teacher's opinion is true and I admit it. I was preoccupied with the question of my own, suddenly my eyes were dazzled in a portrait. A woman has a simple character with soft eyes while smiling and plastered in the mirror. For me, the smile had its own meaning. In a moment of silence, I looked at the portrait because that's just the portrait that makes me comfort while sitting alone at home. Actually, that's a picture of my mother during her lifetime. But now my mother was no longer at my side. Mother went to leave my father, brothers and me who still need love and affection, but it was only a distant memory, what can we do, as fate decides that life would surely die. It's been four years my mother is gone forever, but in my memory as if it happened just yesterday. I could not forget the incident where at the last moment, my mom mingling and pampering with me. Mother went away with the last exhale. Too bad I could not hear the last message. "Nak, let's here a little while." Still heard clearly my mom voice calling me in the morning. At that time, I was getting ready for school. "Soon, son will sit for SPM. Mom hope son will study hard." "Errrr ... I promise mom. If son graduated, son will be a Scientist and will be able to return the favor to your father and mom." I see mom smiling while stroked my hair. "Yes, dear ..... Lucky mom to have a son like you." But before that I should promise my mom to must study hard. If I am lazy, I cannot be a Scientist. I should diligently to go school and do not be lazy doing my homework instructed by the teacher. When having good agreement, I can extend up to a higher level." 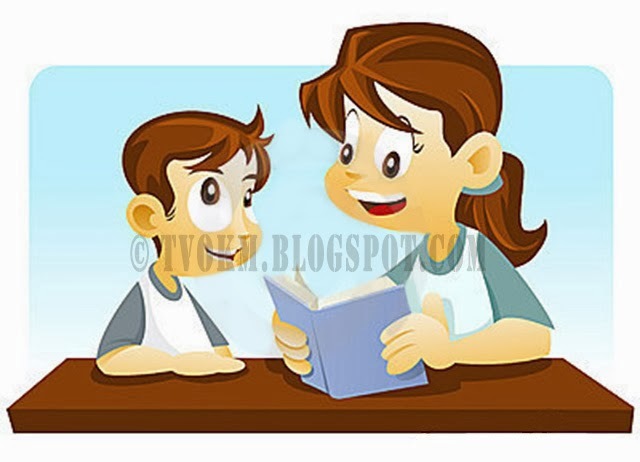 "I promise mom, I want to study hard," that's a promise that I made to the mom four years ago. But now it's just an empty confession. My passion for learning has faded. My mother who always encouraged me to study is an unspeakable lost in my life. Every inch of my joy was buried with my mother's kindness. My life is always covered with grief and loneliness. My feelings will be disturbed when I saw the children playing happily accompanied by her mother. But unlucky for me, perhaps that is the fate determined by the Almighty. Although I still have father, I cannot forget anything that happened between me and my mother. During her life, my mother's always persuade to realize the actuality and take full attention on my studies, but sometimes her advice I could forget. Because I know that God is powerful over everything, I slowly approached the portrait that hangs in the living room. Without my realizing it shattered my tears on my cheeks. I am quickly wiping with my shirt sleeves. "Err .... Son, what are you reflect on that? Until unaware my father came. "Suddenly my imagination went with my father's surprise. My breath beats very fast as people who are tired of running in a distance of one hundred meters. "Nothing dad, I just .....," I actually tried to hide it. "Never mind son. I know you're feeling. What do you sense, dad also feel, son. Study hard as your promise to your mother. "Dad may know, is the sadness began to fill the space of his heart?" I stepped, and hug my daddy. My tears rang again, but not tears of sadness. My tears are the tears of joy. Deep in my heart, I promise that tomorrow still shines again for scaling with a promise I made ​to ​my mother.